As the chat began, the elephant in the room was clear: who exactly is doing the observing? @Sandymillin and @Ashowski quickly pointed out observations can be carried out by both peers – known as peer observation – and by Senior Academic Staff, such as Senior Teachers, an ADoS or even a DoS – perhaps better known as formal observations. Most of the participants were quick to point out that the main difference between the two types of observations is primarilystress: formal observations are compulsory and can be included in end of year progress reports, while peer observations are usually arranged between teachers who are interested in accelerating their own professional development. The main argument behind having these meetings is so that the teacher can prepare in advance, e.g. focus on instruction giving, conducting feedback and drilling, and then receive feedback on how well they delivered the lesson in terms of the three above areas. 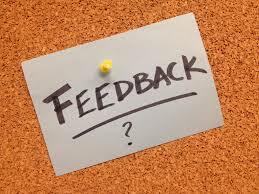 @Sandymillin made a point of ensuring the observer should always “guide” and “lead” feedback sessions, asking the teacher about their performance with regards to the focus areas. This way the session is a meeting of equals and together they can ‘discover’ and ‘evaluate’ the performance and not simply “tell” the teacher about their performance. It was agreed that feedback which involves describing every stage of the lesson is not conducive to progress and only results in what @HadaLitim and @Sandymillin described as a “traumatic” experience for the teacher. An educator cannot perform outstandingly in all areas, which is why there needs to be areas to focus on. However, it was pointed out that the observer does indeed see more of the lesson than just the focus areas, which he or she can comment on and from that the next areas for development could be determined. The observers eyes “see more” than what the teacher’s do. This approach should result in what @SLT_Kat described as “positive, consistent and not scary” feedback sessions, with CPD at the focus and not ‘catching out’ teachers. After having established some of the basics in structuring good feedback sessions, @ChrisOzog then put forward an interesting piece of practice: a lesson report swap shop. As the discussion progressed, this idea was discussed and explored. What the participants eventually came up with was a sort of “unobserved observation” (@HadaLitim), whereby the observer and observee meet before the lesson to establish the focus points and then afterwards they meet again so that the teacher can feedback on how well they performed. The argument here is the most useful role an observer can play is as a guide: the teacher projects their ideas and feelings onto the observer and together they explore how things went, how they could be improved and what other areas to focus on. The observer’s role is merely to guide the teacher in the right direction. In summary, to ensure feedback sessions are a positive experience for all involved, it is important to set out focus areas, feedback on these and then develop new areas for future development. The unobserved observation could also be a conducive format to continuing your professional development while not consuming too much time.